Nintendo once delivered me a Wii in the trunk of a police car. 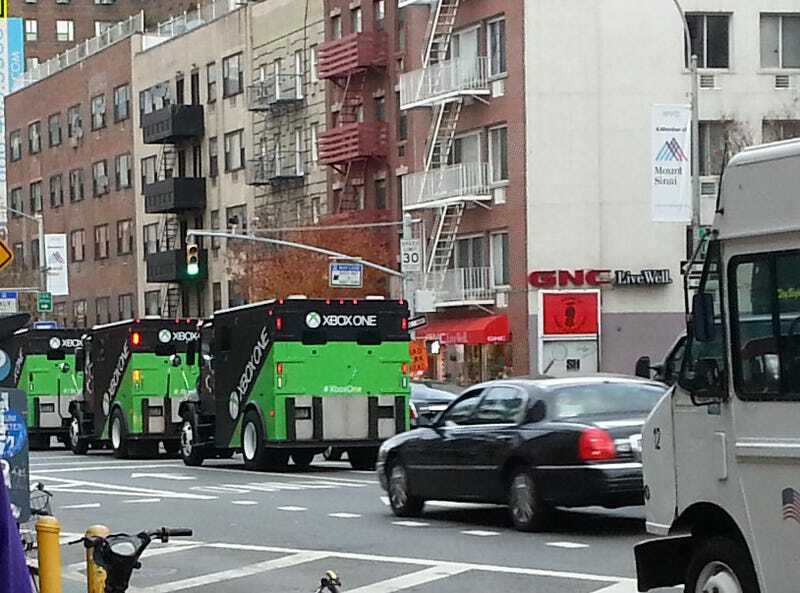 Today, Microsoft is delivering some of Manhattan's first Xbox Ones in armored trucks, as seen in this image spotted via Reddit user Space_Honey. See more of those trucks here and here.